20 successful events this month so far but what is our secret? It’s not just the concept of speed dating that makes our events so successful though – it is largely down to the very stylish venues we use and the friendly hosts that we have working for us – some who have been with us for over 5 years now – we must be doing something right! In Newcastle and Edinburgh we have used the Living Room bars there for over 6 years and now run regular events twice a month for varying age groups. 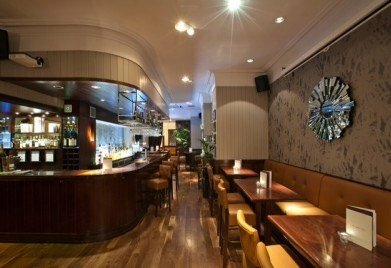 These stylish bars are perfect for our events and help to create that perfect atmosphere that make people feel that bit more confident knowing that they are coming to one of the best city centre bars – this does make a difference to how you feel when you’re getting ready to come for the event. Our fantastic and professional hosts are also another key reason why we are continuing to do so well and matching single people successfully. Out of our 14 cities – 6 of our hosts have been with us for over 5 years which makes us feel privileged to have such loyal and reliable people on our team. We do feel lucky that we have the support of the girls and 2 guys that host our events – not only are they extremely organised but they do go that extra mile to make sure that everyone has a good night. Most of our hosts are either the managers of the bars we use or have plenty of experience in event management and therefore know firsthand how to make people feel at ease along with a high level of organisation. At out Edinburgh event last week our Edinburgh host noticed that a girl had sat at her table without a drink for at least 15 minutes as the event was going on – usually this doesn’t bother people and they are happy to wait until the bar break but our host could sense that this particular girl was slightly nervous so she went to the bar, bought her a glass of wine and subtly put it on the table as she was talking with one of the guys during the speed dating so as not to interrupt their conversation. The girl was so impressed by this and really appreciated this kind act – so were we!